The Bottom Line: Sunshine and warming will continue to influence the snowpack. 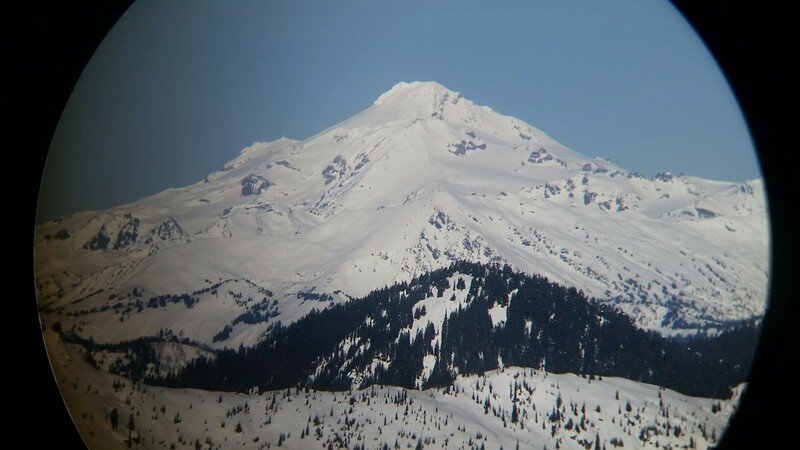 Wet avalanche activity likely peaked over the weekend. Monitor snow surfaces throughout the day, and watch for unstable wet snow on steep southerly slopes in the afternoon hours. Increasing easterly winds and a slight cooling trend will likely keep snow surfaces firm on Monday. 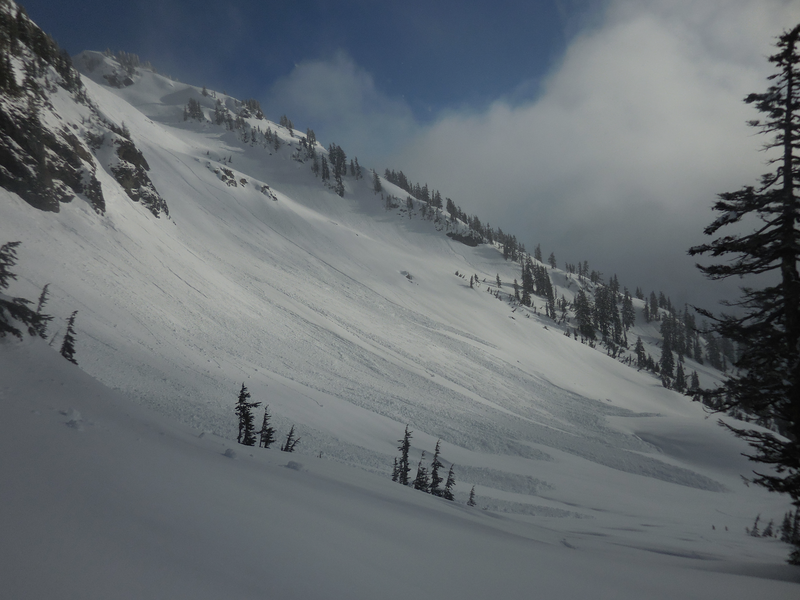 Avalanches will be unlikely where a frozen crust caps the snowpack. During the warmest hours of the day, you may find changing conditions on steep, rocky, sun-exposed slopes. Watch for wet unconsolidated snow surfaces. You may be able to trigger a small wet avalanche in isolated areas or extreme terrain. A temperature inversion has been in place since Friday. Upper elevations have experienced sustained non-freezing temperatures during this time with highs hitting the mid 40’s. Despite the warm temperatures, the snowpack has undergone several melt-freeze cycles over the past few days. On Sunday, an observer visited Green Mountain in the Mountain Loop area and found very shallow snowpack conditions below treeline with bare ground exposed. Continuous snow cover began near 4000ft. Wet unconsolidated snow was encountered on steep sun-exposed slopes by midday. 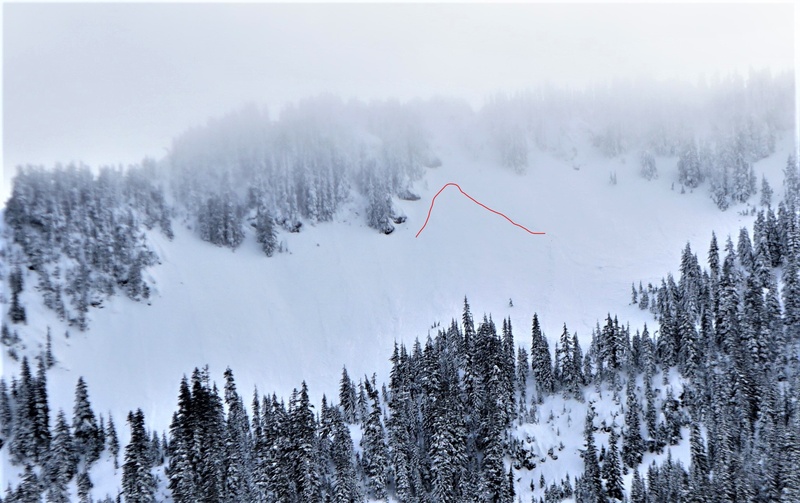 Recent wet avalanches were seen near and above treeline on southerly aspects. Most of these avalanches appeared to be 3-4 days old, but a few looked to have run over the weekend. Another observer peered into the West Central zone from afar on Sunday and saw some evidence of the 01/22-01/23 avalanche cycle on south aspects between 6000-7000ft.